Medical practice costs have risen over 50% in the last decade, far outstripping the Consumer Price Index and Medicare payment rates (ama-assn.org.) More specifically, orthopedic practices are facing declines in patient numbers, reimbursements, and elective surgeries (according to beckersorthopedicandspine.com). Physicians are looking for ways to avoid making the difficult choice between reducing their practice costs and maintaining practice efficiencies and service. Your office might be able to cut costs from various places in your practice, from overhead costs to revenue cycle management. Many orthopedic practices have found ways to control costs and offer services that increase revenue. 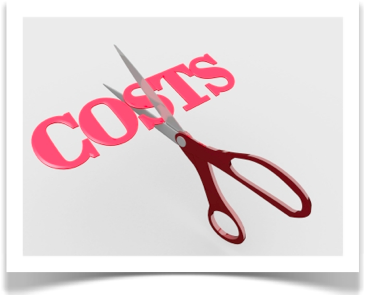 Fixed operating costs can actually be changed. For example, occupancy costs may be lowered by renegotiating a lease or refinancing a mortgage. Utility costs often have room for cuts as well, especially if you can implement a “green” initiative in your office to install motion detectors on lights, programming thermostats, and reducing printer paper use. Many orthopedic practices have found that adding ancillary services, like physical therapy, an ambulatory surgery center, diagnostic imaging and durable medical equipment programs, can contribute significantly to an increased bottom-line. While some of these services have large initial costs, the outlay will most likely quickly pay for itself. Medical practices lose large amounts of money in supply costs due to waste and overstocking. Keep a close eye on spending and inventories to help reduce unnecessary expenditures. Also, orthopedic practices often forget or mistakenly neglect to charge for the supplies or DME that is given in the treatment of their patients. This negatively impacts the practice in two ways... loss in revenue and increased cost. The revenue cycle is the life-blood for your practice's income, but physicians often neglect to manage it in the most efficient way. There are many points in the cycle that need to be reviewed and revised to cut costs and increase reimbursements. Snarls like insurance denials and late surgical charges can cause big losses of revenue but are also largely avoidable with more attention to detail and timely billing. Staff turnover and continuing education can be a huge cost to the practice. It is imperative that your revenue cycle team is expertly educated and experienced... this can be a challenge both in cost and time. Your revenue cycle can be streamlined, cutting costs and increasing the flow of revenue. Review the current process for the management of your revenue cycle to make sure that it is working for you, not against you. When you outsource the management of your revenue cycle to HIS, you lower your high fixed costs, to a lower variable fee based on collections. Healthcare Information Services can help your practice cut costs and boost revenue. Ask us how to implement these solutions and more!